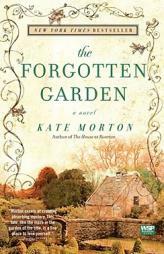 The Forgotten Garden is a magical tale woven over four generations of women on two continents. It combines mystery with drama in a captivating way and draws the reader under its spell and into a world of magic, fairly tales, mystery and family secrets. On her 21st birthday in 1930, Nell Andrews is told by her father that he is, in reality, not her father. He explains that he and his wife took Nell in, after she’d had been abandoned on a ship from London to his port in Australia at the age of 4. The only clue to her identity was the small white suitcase she carried, which contained a beautiful first edition children’s book. The revelation of her past sets the course for the rest of Nell’s life, and that of the generations to follow – especially that of Nell’s granddaughter Cassandra. Later in her life, searching for answers about her family history drives Nell to England and a small manor house on the Cornwall coast. She records her findings in a journal, but keeps revelations secret from her family, so Cassandra is shocked to be the recipient of the deed to an English cottage on Nell’s death. The journal left behind doesn’t answer all that Cassandra finds she needs to know, by any stretch of the imagination. She picks up the trail of Nell’s research, traveling to the UK from Australia, where she slowly puts together the pieces of Nell’s puzzle, and finds the path to knowledge strewn with links to her own self-discovery. Ms. Morton tells her story in chapters dedicated to each of the four generations – Nell, her mother and grandmother, and Cassandra. The transitions are carefully done with attention to detail and vivid descriptions of their lives, from the squalor of London tenement houses to the beauty of an English country garden. Nell’s story encompasses art, and story telling, family secrets and family trust, along with a villain or two. I was easily drawn into Cassandra’s journey and found myself fascinated with the way the characters' lives spin in and out of each other’s orbits, bridging the generations and the mystery of Nell’s identity. I was thoroughly involved with the characters and the mystery. I enjoyed this book very much and hope you will as well. My Dangerous Duke is the second book in the Inferno Club series by Gaelen Foley. This story follows Rohan Kilburn, the Duke of Warrington, or better known to locals as the Beast, and Kate Madsen, a woman kidnapped by smugglers and given as a gift to the Duke. Rohan's family curse-- to lose one's wife early in life-- haunts him and he rejects all notions of love and marriage, thinking to break the curse by denying it. His reputation of a wild lover is well-earned, but is not the complete story of this complex character. Underneath the controlled exterior lies a warrior, trained to fight in any sort of combat, and a killer for the Inferno Club and their fight against the Prometheans. He lives a loveless life, until Kate comes along. When Kate is handed over to the Beast, she is defiant yet afraid of what he may do to her. The Duke is handsome, but being held prisoner for over a month in a dark cellar has taken its toll and she is desperate to escape. Her kidnappers drug her to make her more compliant, hoping to calm the temper of the Duke. Little does the Duke know the lovely gift he was given is not there of her own free will, as he is led to believe. Things go downhill from there as Rohan realizes Kate's family history is linked with his in a way that will cause certain danger to them both. Kate holds in her possession the key to finding the Alchemists Tomb, something the Prometheans have searched and killed for. Rohan knows if they can find this tomb and its secrets, this would be a serious gain for the Inferno Club. Foley's writing, as always is entertaining and the hero and heroine are well matched despite having many differences. My Dangerous Duke is a well-written story of love, danger and intrigue, with quite a bit of mush mixed in. This book hits stores today!